Set sail on your next nautical adventure! Your family prefers a life on the water and living by the sea. Fresh ocean air, sail boats, wide open spaces and exploring all day long. 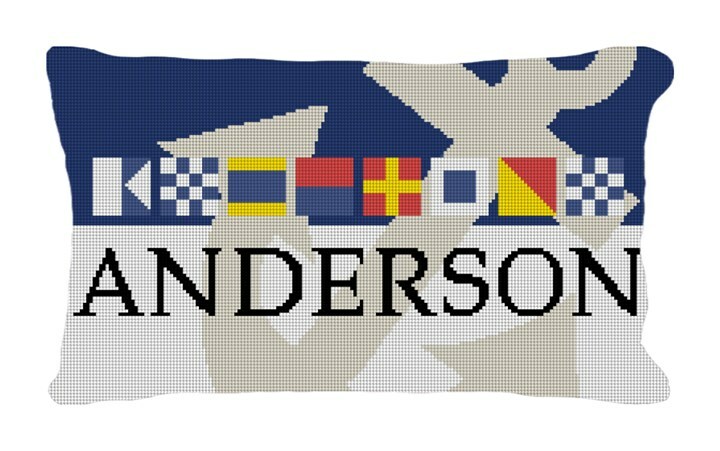 When your ready to drop your anchor, and take time to spend with the family; this pillow will remind you of the place you love most. We will pair each letter of your last name to the appropriate maritime signal flag. This pillow also makes for a fabulous house warming present.